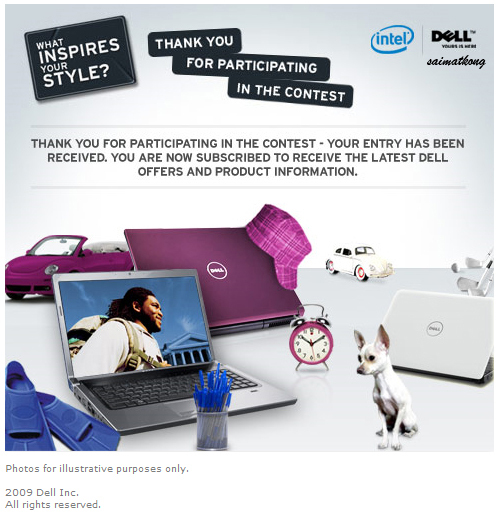 Home » Blog » Free Dell Laptop Contest – What Inspires your Style? 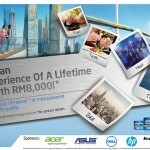 Share & Win^ a Dell laptop. 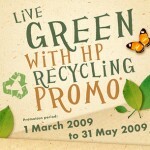 Click here to win a free Dell laptop. 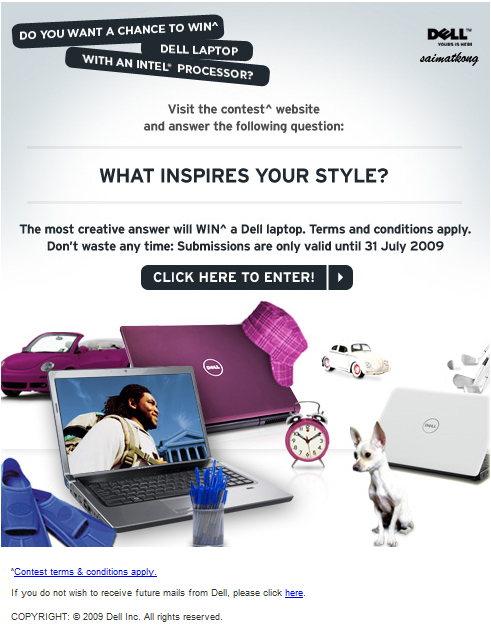 Just fill in the details and write “What inspires your style” and you stand a chance to win Dell laptop. 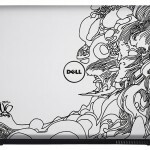 Select your favorite Dell Notebook / Laptop. Fill in your details. 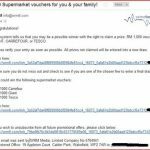 After you submitted successfully it will show you the screen below and send you and email notification. Then you are done, just wait for the announcement and check whether your are one of the winners or not. =p Good Luck Guys & Girls! I’m more of a vintage kinda girl. i like to be girlie but at the same time tough.I’m not all that crazy about purple but i love me some pink( and thats as girlie as it gets).i mostly vibe off of rock but not to wild with i like to show some class. what can i say im diverse in style but in the end it all comes together.